Thanks for the super comments and good votes. All I can say is this challenge came at just the right time. Beautiful job! 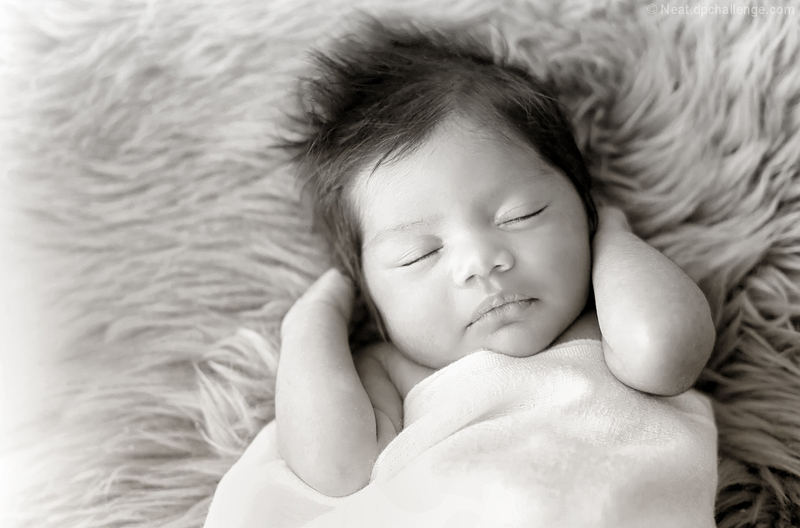 I don�t know how your newborn sessions go, but I have found that capturing these serene relaxing newborn photos is anything BUT relaxing for the photographer! I work harder at newborn sessions than I do at WEDDINGS! You make it look easy! Good job! Yes they can, be but this baby was the perfect baby to shoot, she slept all the way through. No fair. Cute babies should not be allowed! None the less a beautifully done composition and a well deserved Ribbon. Congrats, Anita. Absolutely gorgeous! What a beautiful babe! For both the baby AND the parent, no doubt! Nicely done! absolute tranquility .. for the PARENTS .. !!! .. LOL .. !! ..
she is gorgeous .. everything about this speaks serene and calm ..
loving her little arms .. almost embracing her own head .. Proudly hosted by Sargasso Networks. Current Server Time: 04/20/2019 03:07:45 PM EDT.